What Are Some Volkswagen Tiguan Accessories? What is the Volkswagen CPO Warranty? Where to Find the Best VW Service in Tampa? What is the 2019 Volkswagen Passat MPG? Is the 2019 VW Atlas the Ultimate Family-Friendly Ride? Why Is the Golf GTI So Popular? Used vs. Certified Pre-Owned: What’s the Difference? Do You Need Full Coverage On a Used Financed Car? What Kind of New Tech Is in the 2019 VW Jetta? Are the VW Atlas and Tiguan the Perfect Family Haulers? Is the VW Tiguan the SUV for You? What are the Benefits of Driving an SUV? 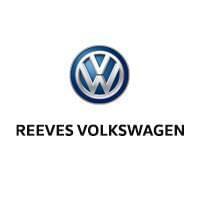 The Fastest, Most Reliable Volkswagen Dealership Service in Tampa?